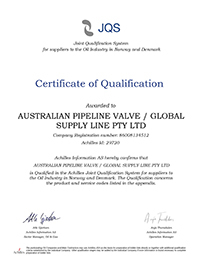 Global Supply Line (GSL) was founded in 1987 and has grown to become one of the world’s largest valve stockists. We represent major manufacturers of ball, check, gate, globe and plug valves as well as strainers, pneumatic actuators, flanges, fittings and gaskets. GSL supplies valves and pipeline supplies to EPC’s managers, end users and resellers worldwide. We specialise in emergency supply and the fast track supply of premium brands. GSL are project supply and materials management experts. Experience, efficiency and commitment cannot be corporatised. We have the ability, experience and dedication required in this industry and pride ourself in having the best staff in the business. The quality of our staff coupled with the strengths of our organisation translates into a premium service to our customers. Our employees have decades of experience in local and international projects for the energy, mining and process sectors. Combine this with the strength of our long relationships with major manufacturers of valves and piping products and you can be assured we will always supply a quality product on line, on time. Fresh and with a clear vision of what needs to be accomplished for the critical industry sectors we service, GSL are continually improving our business and service to our clients. Global Supply Line was built on a foundation of excellence in service and superior product quality and stock range. 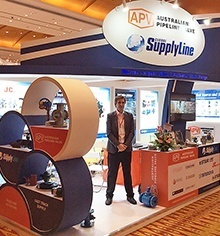 Global Supply Line are a clear market leader providing quality products on time. 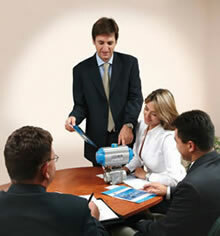 Our main sales team has 200 years combined valve & piping experience. Major stockist with inventory of $50 million of valves and related flow control products. GSL’s strength is the diversity of valves and related components in stock and our ability to source product that is not in stock utilising our established global supply chain. Click here to view our stocking philosophy. Valve management and procurement alliances, control corporate valve inventories. We have supply agreements with some of the worlds most prominent manufacturers of valves and pipeline components. This allows us to work in partnership with our customers delivering quality product and premium service. This website lists our range of imported valves and specialty products made to API, ASME, AS/BS and MSS specifications by ISO 9001 accredited, API licensed manufacturers. With very low air freight prices into Asian freight hubs combined with duty free pricing and very competitively priced stocks, Global Supply Line is able to offer highly attractive CIF prices worldwide. A large percentage of our ex stock sales are to merchants and resellers who we sell to at wholesale prices. Global Supply Line commands strong buying power giving it preferential access to numerous brands. 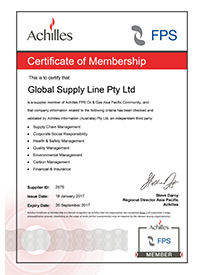 Global Supply Line has a proven track record in major projects supplying end users and EPC’s throughout Australasia. Markets: Oil & gas, mining, petrochemical, power generation and process industries, local and export. Experience: Global Supply Line has over 25 years experience in handling maintenance contracts as well as new capital projects. Insurance: Global Supply Line has $20 million liability insurance as well as $20 million worldwide product liability insurance cover (USA & Canada excluded). (Most other merchants do not have product liability insurance). We have our own transit insurance policy which covers air, ocean and road freight: $3 million inbound, $5 million with Australia, $400,000 exports. Administration: Fully computerised administration, design and order handling/project tracking. Office: Modern office facilities, Alcatel 14 line PABX, 26 extensions for voice, data and fax, extreme broadband Internet, voice mail. Information Technology: Ethernet connected fully computerised business systems. Main frame server interfaced via high speed intranet to a network of 20 Apple Mac pc’s (Windows capable OSX) able to interface with SAP, Oracle and all major electronic commerce systems. 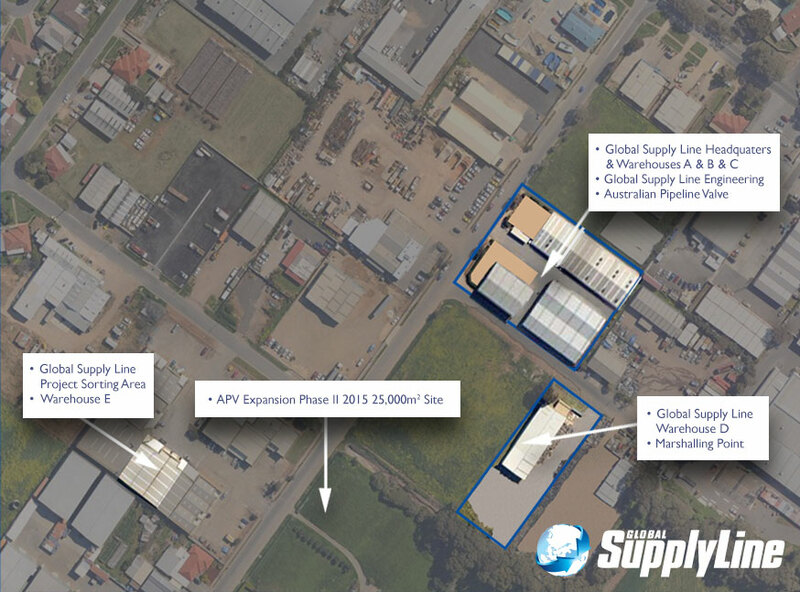 Warehouse, workshop, plant & equipment fully owned by Global Supply Line (no mortgages or overdrafts). 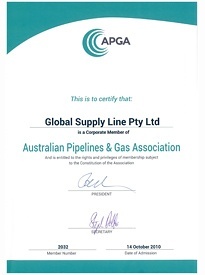 Global Supply Line is a fully Australian owned company with a proven track record. GSL is a responsible citizen and respects the environment.